And then there were two. The Swans accounted for the Magpies quite comfortably on the Friday night, with Jetta's running goal putting them up by 20 points in the 1st quarter, there was no looking back. The other preliminary final was a different kettle of fish, with the Crows pushing flag favourite Hawthorn all the way to the very end, and could've been considered unlucky not to pinch it. The Hawks will learn their lesson and I can't see them falling down two weeks in a row, and should comfortably account for the Swans this weekend. There you heard it first - Hawks by 30+. Of course I could be foxing. Spot Prize #7 is still alive, unbelievable I know. Whomever stumbles upon this website and would like to win, email me. The first five emails I receive will win a pass. Five $50 double passes to The Laugh Garage are up for grabs!!! 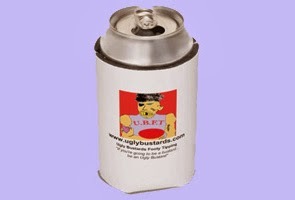 On to the highlights of week 3 of the finals before I puke, then the latest in the Uglybustards Tipping. The Finals on the weekend showed how important it is to finish top 4, with both semi's almost a replica of each other. The WA teams both got out to a flyer early in the first quarter, only to be slowly reeled in by the the home town bookies' favourites. The end result; a flock of feathers for the finals as the Hawks host the Crows, and the Swans manage the Magpies. Spot Prize #7 is alive for the 4th week running. The question "what is your name" has proved to be beyond the capabilities of the Uglybustards punter. In order to offload the inventory, not only is the prize open to any Uglybustards tipster, regardless of whether you've won before or entered the Prize Pool, there is now no question involved. You just have to email me. Five $50 double passes to The Laugh Garage are up for grabs!!! On to the highlights of week 2 of the finals before I puke. Hot off the Press - Malthouse joins Blues! In a shock signing Mick Maltshake has joined Carlton. But enough of that. It's all about the #PurplePower this week, with Pavlich sinking six majors and Heave Ho Freo Way To Go booting reigning premiers Geelong out of the finals in a convincing display. They should be a chance to bowl out the Crows in straight sets too. Likewise the Weagles' blitzing of Norf, showing great form in the last quarter, fares well for a couple of blockbusters this week, and the filth could be in a spot of bovva. But with Maxwell out the Pies have received an unexpected bonus. Both semis could go either way. Meanwhile the Swans and the Hawks can sit back and watch the boys beat the crap out of each other. Spot Prize #7 is still alive for the third week. Maybe the question was a bit hard afterall. So I'm widening the gene pool to any Uglybustards tipster. Doesn't matter if you've won before or not even entered the Prize Pool. Five $50 double passes to The Laugh Garage are up for grabs!!! On to the highlights of week 1 of the finals before I puke. Nice bit of biffo in the Hawks / Magpies game. Read on for Uglybustards Tipping Results and the Spot Prize question. And Condolences to John McCarthy's family for the tragedy in Las Vegas. Well its finals fever yet again, with four blockbuster games coming up on the weekend. Hawthorn look to have Collingwood's measure on Friday night. Adelaide's home ground advantage might be the telling factor in their clash against Sydney, a game which shapes as the most interesting this week. Geelong should comfortably account for Fremantle, but never underestimate #PurplePower!!! I stick by my prediction of Heave Ho Off We Go Freo taking out the flag from wherever they are, 6th 7th or 8th who cares. West Coast will provide the mothballs for Norf in what has been a lacklustre North Melbourne the past couple of weeks. And the real fight of course will be for finals tickets! And won't the scalpers make another lazy mill or so over the next four weeks. Gloves off. And don't worry, we haven't forgotten about the Brett Ratten sacking. Spot Prize #7 didn't go off for the 2nd week in a row. I had honestly thought the question was easy enough, but obviously I have yet again under-estimated my clientele. The prize remains available for those in the prize pool yet to win a prize. Five $50 double passes to The Laugh Garage are up for grabs!!! On to the highlights before I puke. Nice goal Kieren Jack. Read on for Uglybustards Tipping Results and the Spot Prize question.